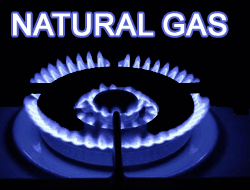 The natural gas futures traded on the Multi Commodity Exchange has risen by about 4 per cent in the past week. The price action over the last one month is suggesting the formation of a double bottom reversal pattern. The key resistance level to watch now will be ₹247 per mmBtu. A strong break and close above this level will confirm a reversal. The outlook will then turn bullish for the target of ₹257. In such a scenario traders can go long at ₹249 with a stop-loss at ₹246 for the target of ₹255. On the other hand, inability to breach ₹247 can reverse the contract lower for the targets of ₹240 and ₹235. The outlook will turn bearish if the contract records a strong close below ₹229. The ensuing target on such a break will be ₹220. MCX-Crude oil: The MCX-crude oil futures contract is stuck in a narrow range of ₹5,650 and ₹5,755 a barrel in the past week. The immediate outlook is not clear. A breakout on either side of this range will decide the next leg of move for the contract. A strong break above ₹5,755 can take the contract higher to ₹5,900 – the 21-day moving average. On the other hand, decline below ₹5,650 can drag the contract lower to ₹5,500. Traders can stay out of the market for now and wait for a break out to get clear trade signals.